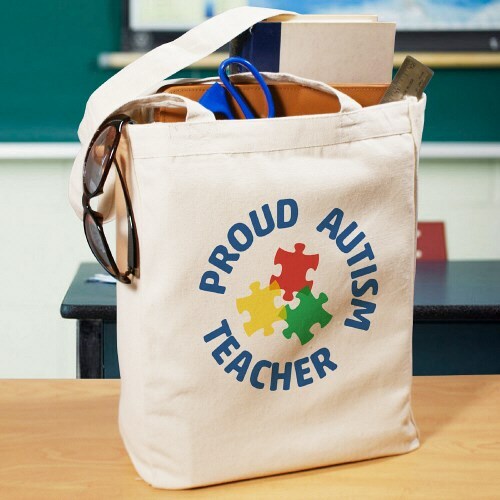 As you carry in our school supplies for the day, show just how proud you are to be an Autism Teacher with this handy tote bag. This proud autism teacher design is available on our 100% cotton, canvas tote bag. This eco-friendly tote bag measures 16” H x 14” W. It is especially strong to hold your take-along items.